On December 15/28, 2011 an historically significant event happened here in our God-preserved town of Wayne, West Virginia at the Hermitage of the Holy Cross. For the first time ever, the services for St. Hilarion, Archbishop of Verey were celebrated in English. Up to this time the services were not available in Emglish but after being commissioned by the Hermitage, Reader Isaac Lambersten translated them into English. These services were lead by His Grace, Bishop George and co-served by several other clergy from the monastery and from around our Eastern diocese. Also in attendance were various of the faithful and the staff from the Diocesean Media Office who recorded the services and made them available for us on the diocesean website (eadiocese.org). In light of such an historic event we offer the life of this monk, pedagogue, teacher and martyr. 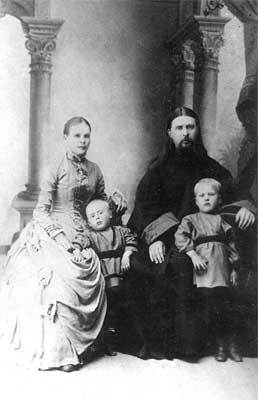 The New Martyr Hilarion (Vladimir Alexeyevich Troitsky in the world) was born the son of a priest on September 13, 1886, in the village of Lipitsa, in the Kashira district of Tula province. Vladimir was an exceptional student in all of his studies as can be noted by the many works he produced as a cleric and also the many awards and honors he received during the time of his studies. 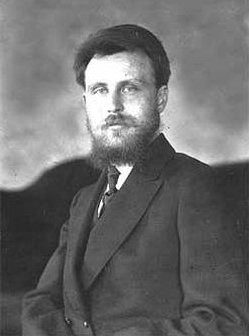 After finishing seminary he entered the Moscow Theological Academy and graduated with honors in 1910. He remained at the Academy with a professorial scholarship. In 1913 he was also appointed Inspector of the Moscow Theological Academy and Professor of Holy Scripture – New Testament Studies. In this same year, in fulfilling his fervent desire to serve God, he received the monastic tonsure in the Skete of the Paraclete of the Holy Trinity – St. Sergius Lavra and received the name Hilarion. 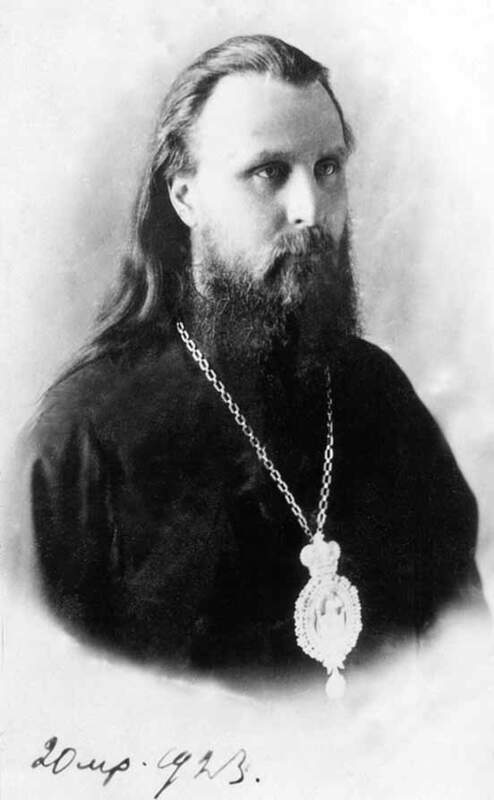 About two months later he was ordained a hieromonk and shortly thereafter was elevated to the rank of Archimandrite. topic of “Why Restore the Patriarchate?” After his participation in this council his renown spread beyond the academy and he was elected to the position of the Patriarch’s secretary and chief consultant on theological questions. In February of this same year, the first of a series of revolutions began, in which the Tsar was removed from power and a provisional government installed. 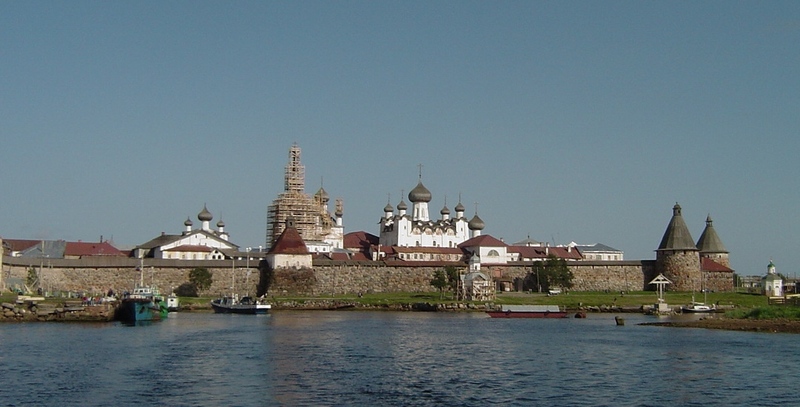 It was the beginnings of persecutions for the Russian Orthodox Church. Because of Archimandrite Hilarion’s proximity and relationship to Patriarch Tikhon he was imprisoned in Butyrskaya for two months. 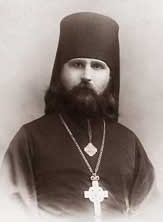 In 1920 Archimandrite Hilarion was elevated to the rank of the Bishop of Verey, vicar of the Moscow diocese. At the Patriarchial address, His Holiness praised the steadfastness and firmness of the newly-elected’s confession and faith. Bishop Hilarion responded by expressing his deep understanding of the current state of the Church and its future. By this time the blood of hundreds of martyrs had already been spilled and the future held much more suffering as the new hierarch foresaw. He said, “the Church is unshakable and finely adorned with purple and fine linen, the blood of the martyrs. We know from the history of the Church and we see with our eyes in the present times that the Church triumphs when she suffers. The power of the state has gone against the Church and the Church has given more martyrs than she has traitors.” Bishop Hilarion felt that it was in God’s Providence to raise him to this Episcopal ministry at such an awesome and glorious moment. He came willingly to this position knowing full well that it was going to be a path to martyrdom. and he was to be named “Hilarion the Great” for his mind and steadfastness in the faith. Bishop, Hilarion would participate in many meeting with the renovationist “Living Church” and, later on, those involved in the Gregorian schism. As the Soviet power grew to torment and persecute the Church more, he found himself in court on numerous occasions with outlandish accusations and charges brought against him in an attempt to silence him and put him in prison. Before he was able to even complete his second year as Bishop he was sent to exile in Archangelsk for one year. On his return to the Epsicopal See, His Holiness Patriarch Tikhon took a close interest in him and made him Archbishop. His responsibilities increased, and he continued to engage in serious talk relating to the order of life for the Church in the Soviet times. 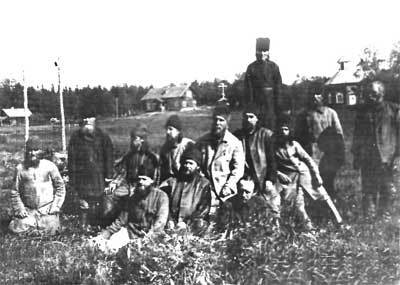 In the torturous conditions of Solovki what came to the surface in this eminent Hierarch was the monastic virtues that he had cultivated since childhood, and qualities of the soul that he gained through his ascetic labors. Those who suffered alongside of him were witnesses of his “total monastic non-acquisitiveness, deep simplicity, true humility, and childlike meekness.” Much is said about his humor and general cheerfulness. “A sudden violent storm hurled out into the open sea a boat containing several prison inmates and the camp’s most malevolent guard. The guard’s name was Suhov. The prisoners and soldiers gathered on shore were convinced there was no hope for the boat’s survival. “Peering through a pair of binoculars they could see how there, in the distance, a small black spec kept reemerging and then disappearing again… The people were fighting the elements, but the odds were against them. And the elemental forces of nature were gaining the upper hand. The officer at once drew his shoulders in and silently moved further away from the shoreline. “Well, the Lord be with us!” said the fisherman and got into the launch. He stood at the steering wheel — and very slowly, plowing through the icy barrage, the boat began to move away from the shore. Twilight fell. On its heels came a cold, windy night. However, nobody left the quay: people would go off to warm themselves, only to come back later. There was something bigger than them all that united them at that moment which removed all the barriers between them. Even the special task officer with the binoculars. People spoke in muted whispers and whispered their prayers to God. They believed, and at the same time were torn by doubts. However they all realized that without God’s will the sea wouln’t ease its hold on its victims. In the morning the sun chased away the mists shrouding the beach. And at that point everyone saw the boat returning… It contained not four but nine people. And then everyone gathered on the quay, — monks, prisoners, guards, — all crossed themselves and went down on their knees. “A Miracle, indeed! The Lord has saved them!” came cries from the crowd. 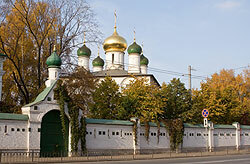 Nearing the end of his prison term, Archbishop Hilarion was sent to the prison camp in Yaroslavl. Here his term was extended by three more years and he was sent back to Solovki. In Yaroslavl he had more freedom and even was able to read and write more. He received guests and was able to travel at times and met with many people. Some had approached him to bring him over to the side of the renovationists and even tried to persuade him by offering him freedom from the prison camps. This was attempted multiple times. His response remained steadfastly the same. In these times he was able to convince many not to break off communion and to keep the church whole by not encouraging schisms. In 1929 he was sent to live in Alma-Ata in Central Asia for three more years. On the journey to Almat-Ata, being housed from one prison to the next on the way, he was robbed several times. At one prison he arrived wearing only a long shirt, was swarming with parasites and he had contracted louse-borne typhus. Shortly thereafter, on December 15/28, 1929 this confessor of Christ gave up his pure soul into the hands of God where there is no pain, no sorrow, nor sighing but life everlasting. Holy Hieromartyr Hilarion, pray to God for us! O Hilarion, warrior of Christ, glory and boast of the Church of Russia,thou didst confess Christ before the perishing world, hast made the Church steadfast by thy blood, and having acquired divine understanding, hast proclaimed unto the faithful: Without the Church there is no salvation! 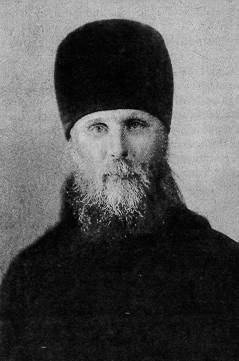 Metropolitan John (Snychev) of St. Petersburg and Ladoga, Nun Cornelia (trans.). “Pravoslavie.ru” The Life of Holy Hieromartyr Hilarion (Troitsky), Archbishop of Verey. N.p., 09/05/2011. Web. 19 Jan 2012. http://www.pravoslavie.ru/english/33316.htm. Natalia Shumova. “The Voice of Russia.” Reverend Hilarion Troitsky. N.p., 14/12/2007. Web. 19 Jan 2012. http://english.ruvr.ru/2007/12/14/168105.html. “Open Orthodox Encyclopedia”. 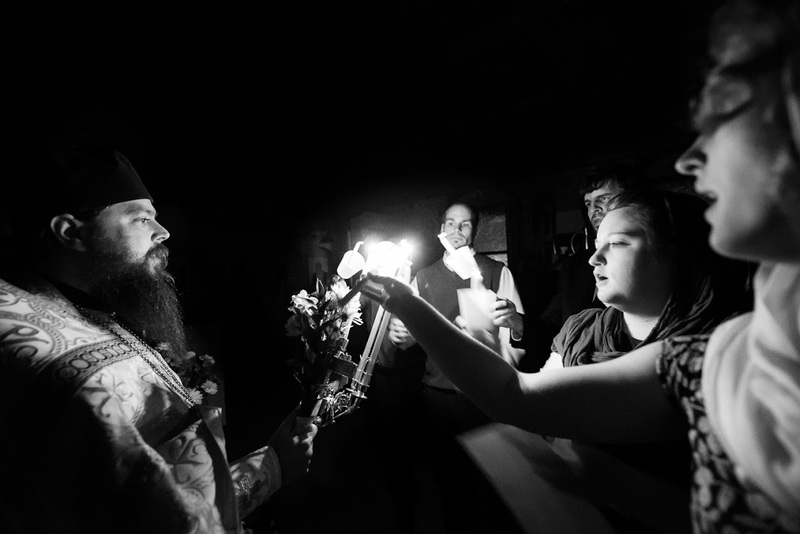 “Древо.” Hilarion (Troitsky). N.p., 24/07/2011. Web. 19 Jan 2012. http://drevo-info.ru/articles/8302.html. St. John the Baptist Convent in Moscow. “John-the Forerunner Monastery.” Martyr Hilarion (Troitsky), Archbishop of Verey. N.p., 2012. Web. 19 Jan 2012. http://www.ioannpredtecha.ru/docs/18.htm.